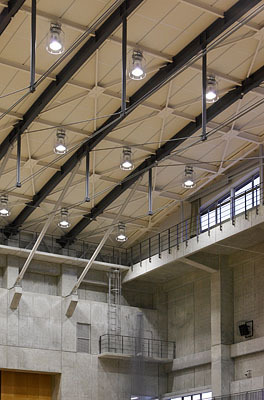 Hokuetsu High School | PROJECT | YAMASHITA SEKKEI INC. 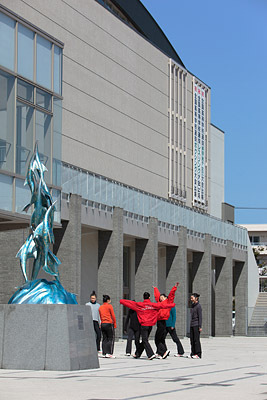 Considering its location in a residential area near Niigata Station, the school was built on the east side of the site near the road, away from the low-rise housing on the west side. Since the area receives large amounts of snow and rain, all the buildings are interconnected by indoor passageways at the second-floor level for convenience. 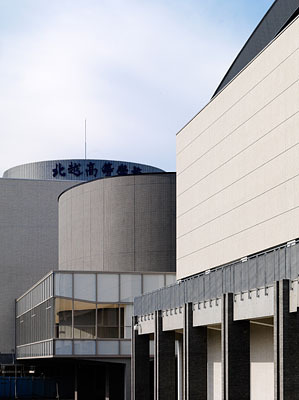 Green open spaces on the periphery of the grounds create an open school impression, while a memorial zone in the outside plaza on the east side, forming the main approach, plays the role of symbolizing the new Hokuetsu High School. 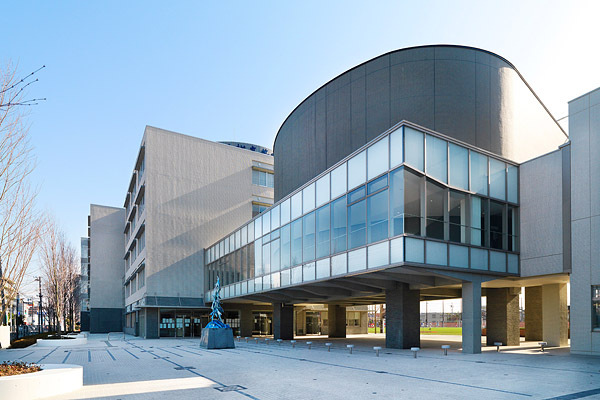 Both the outdoor space with its central plaza and the educational environment itself have been designed for communicating the school’s activities to the outside world.